TUCSON, AZ (Tucson News Now) - U.S. Customs and Border Protection announced on Thursday, Nov. 15, that part of the border wall in Arizona will be built by a Montana-based company. According to information from the CBP, Barnard Construction Company, Inc., headquartered in Bozeman, MT, was awarded a contract to build up to 32 miles of primary pedestrian replacement wall in the Tucson and Yuma Border Patrol sectors. 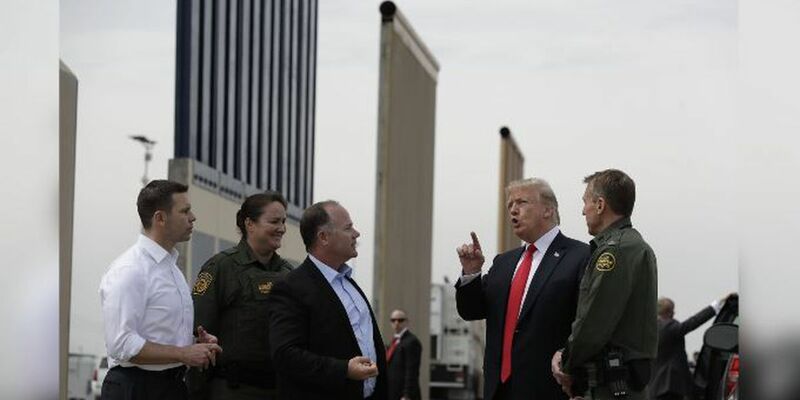 This wall is intended to impede and deny illegal border crossings and smuggling activities. JUST IN: New construction on border wall in AZ to begin in April ‘19. @CBP has awarded a contract for up to 32 miles of “Primary Pedestrian Replacement Wall” in USBP Yuma & Tucson sectors. The contract is for a base of $172 million for construction of 14 miles in Yuma Sector with options that bring the total to $324 million, funded with CBP’s Fiscal Year 2018 appropriations. Another 13 miles in the Yuma Sector and five miles in Lukeville are included in the projects, which call for the construction and installation of upgraded tactical infrastructure.